On the occasion of the coming UEFA Champions League match between FC Barcelona and AS Roma on Tuesday, 24 November at Camp Nou, FC Barcelona and the Catalan police force, the Mossos d’Esquadra, have established a set of extraordinary security measures to increase the safety of those in attendance. 1. Access to the stadium will open three hours before the game. It is recommended that all fans arrive at Camp Nou with plenty of time. 2. To enter the stadium grounds all spectators must have a ticket to the game or a membership card and a season pass. In no case shall anybody be allowed access to the grounds with only their membership card. 3. 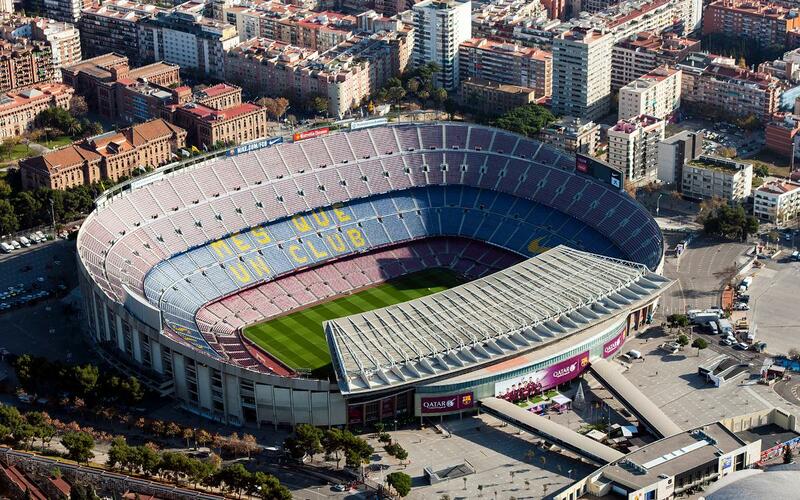 Backpacks, suitcases, fanny packs or large bags will not be allowed into Camp Nou. 4. Beginning at 2.00pm on Tuesday, 24 November, the Museum and the FC Megastore will be closed to the public. 5. Vehicles authorised to enter the stadium premises will also be required to have the corresponding accreditation, without exception. All occupants of these vehicles must also be carrying their corresponding accreditation, game ticket or membership card and season pass. 6. The Club’s car parks that are open to the public will be closed beginning at 8.00am on Tuesday, 24 November. At that time, any vehicles still there will be towed, except for authorised coaches that may be there until 2.00pm. 7. Parking along the perimeter of Camp Nou will be prohibited beginning at 8.00am on Tuesday, 24 November. 8. The UEFA Youth League match between the youth teams of FC Barcelona and AS Roma, to be played at the Miniestadi on Tuesday at 4.00pm, will be moved up to 12.00pm due to operational reasons. FC Barcelona and the Mossos d’Esquadra appreciate the cooperation and understanding of members and fans regarding these additional steps, which are necessary to improve security for everyone.